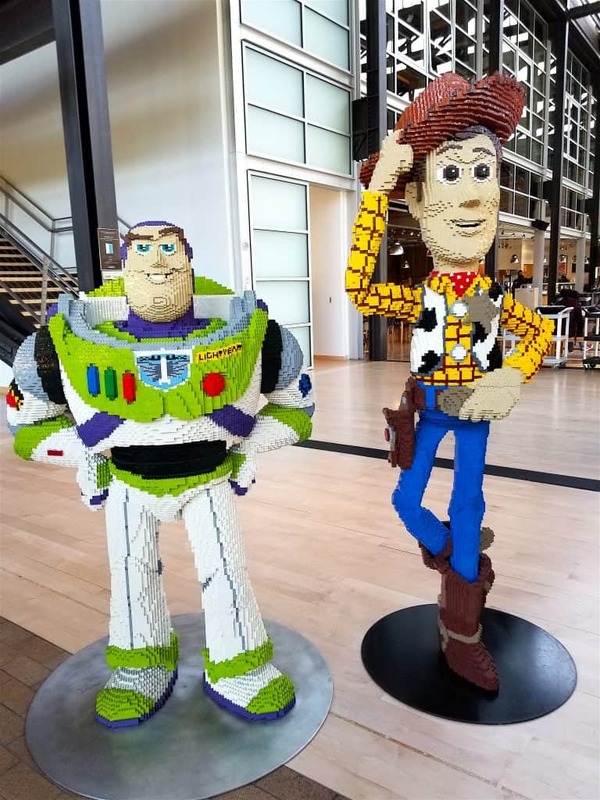 There are SO many incredible photo spots you absolutely need to stop at if you visit Pixar Animation Studios in California! You’ll smile for the rest of your life every time you look at your photos. 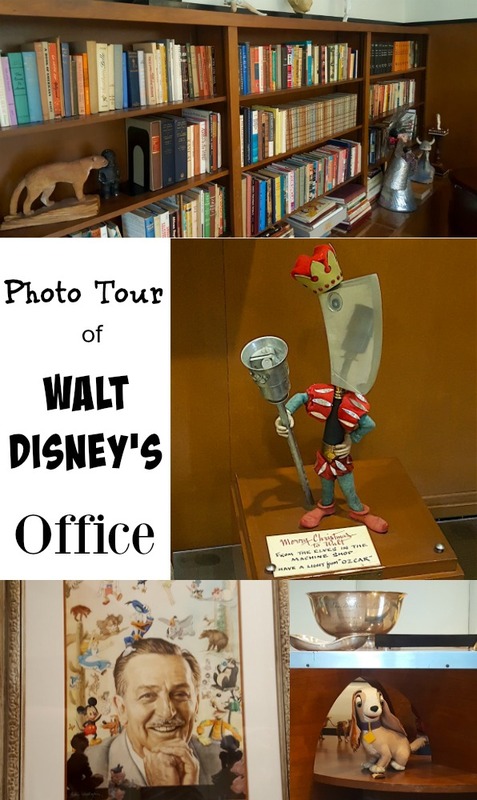 Although the campus is closed to the general public, this post will not only give you a glimpse of the creative inside of Pixar but also give you the heads up on some cool photo spots if you do get the chance to visit. 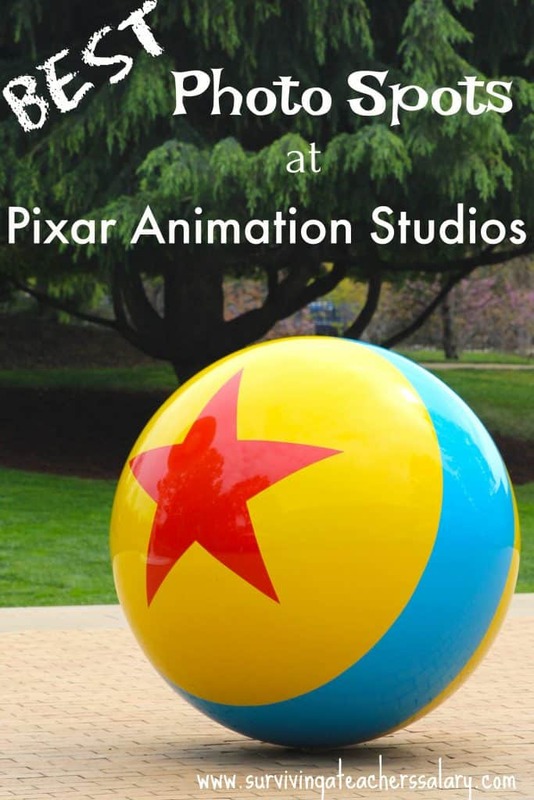 In fact you don’t even have to make it ONTO the Pixar Campus to find an awesome photo spot for pictures! 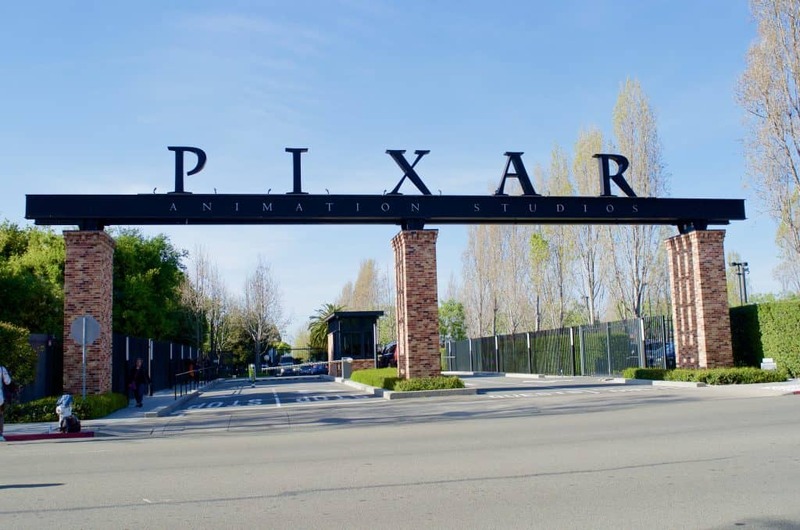 The entrance gates to Pixar can be accessed by anyway – just stand across the street and snap away! Just watch out for cars! The nighttime view is just stunning as you can see in our Tour of the Pixar Archives & Steve Jobs Building post. And of course day time photos are just as fun! 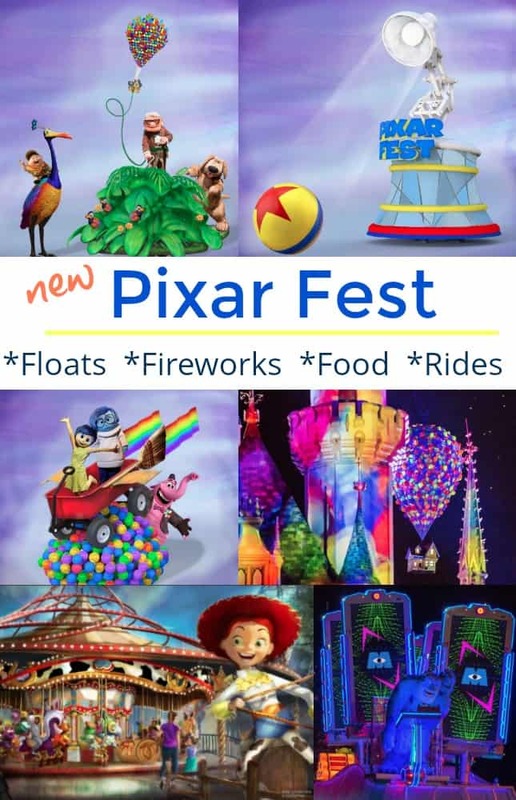 You can take pics with the Luxo Lamp and Pixar ball or just snap a bunch of selfies on your way by like I did above! I took a TON of photos here. TONS! 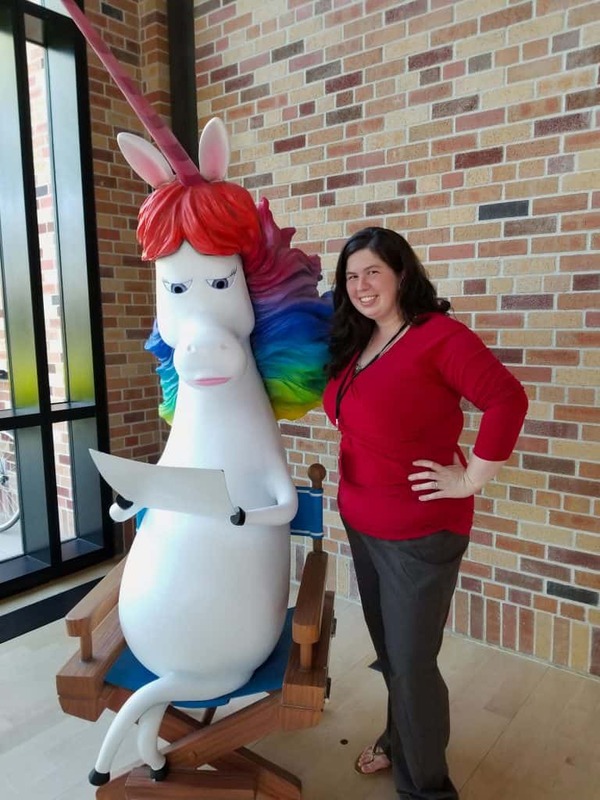 Even though there are tons of characters in the Steve Jobs Building but the fun loving unicorn from Inside Out produced a chorus of oohs and aahs from visitors around me. But first I had to talk past Buzz Lightyear and Woody from Toy Story! And the Cars movie is very special to me as we were engaged AND married on Route 66 so I have a special place in my heart for these guys! 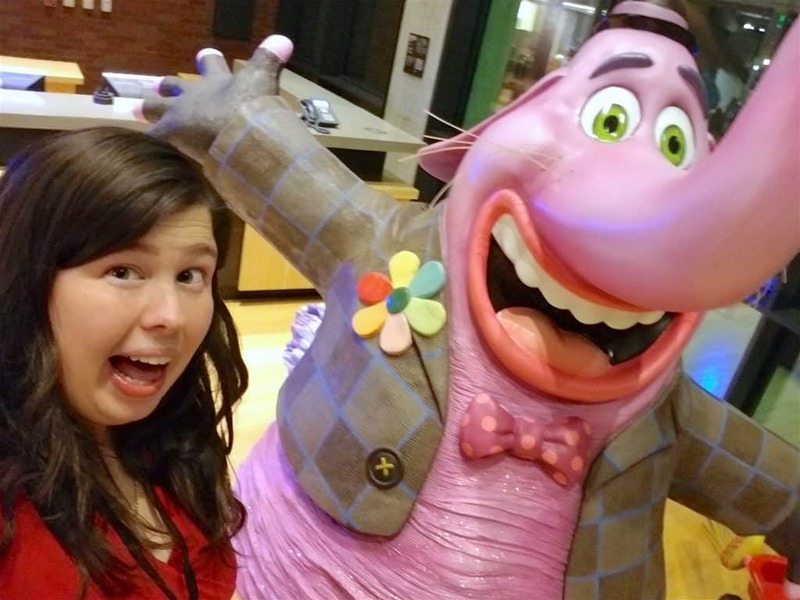 Visiting Pixar Animation Studios is SO MUCH FUN! 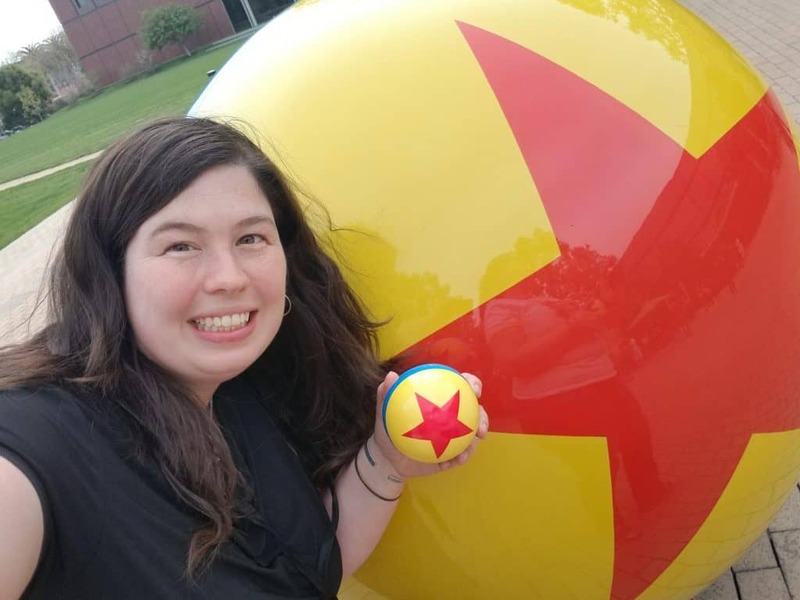 I left asking my husband if we could move to California so I could work at Pixar! Even the desks had adorable characters displayed. 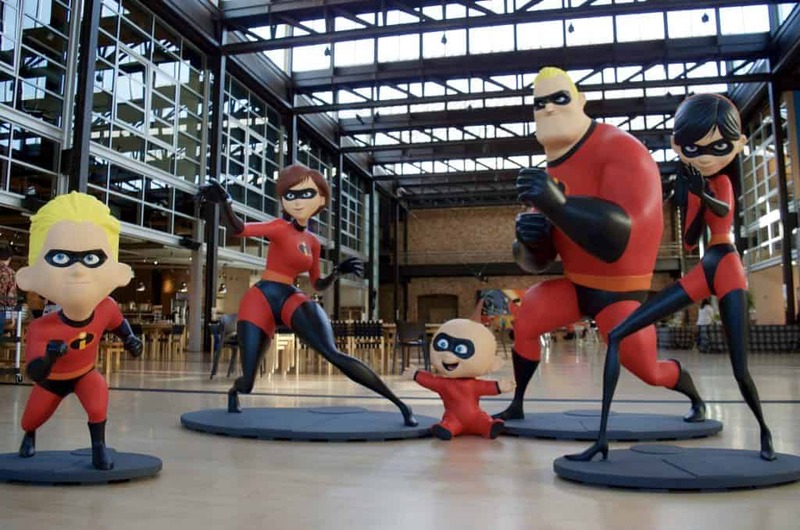 Since I was at Pixar Studios as a press member to cover the new Incredibles 2 film I of course was extremely excited about the Incredibles superhero family right in the front entrance of the atrium at the Steve Jobs Building! 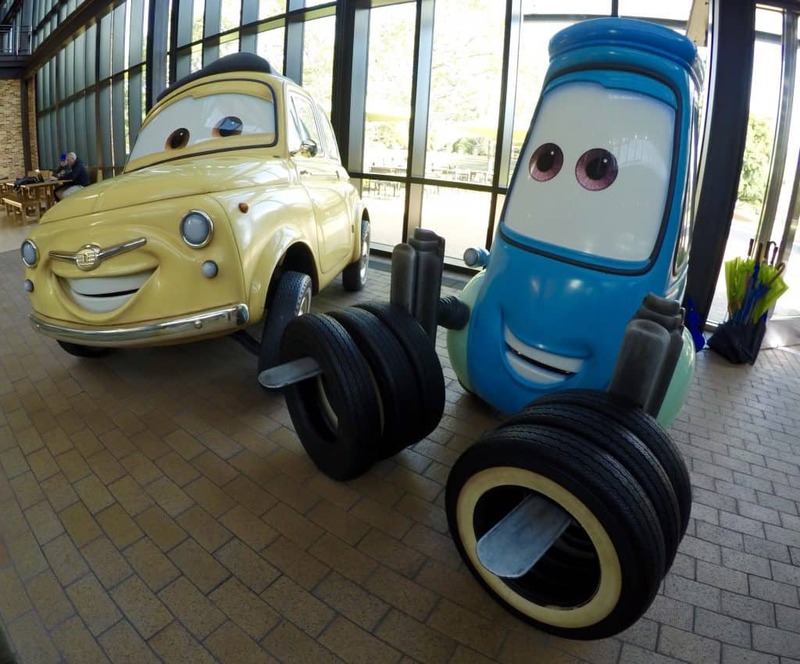 Talk about the PERFECT photo spot at Pixar! 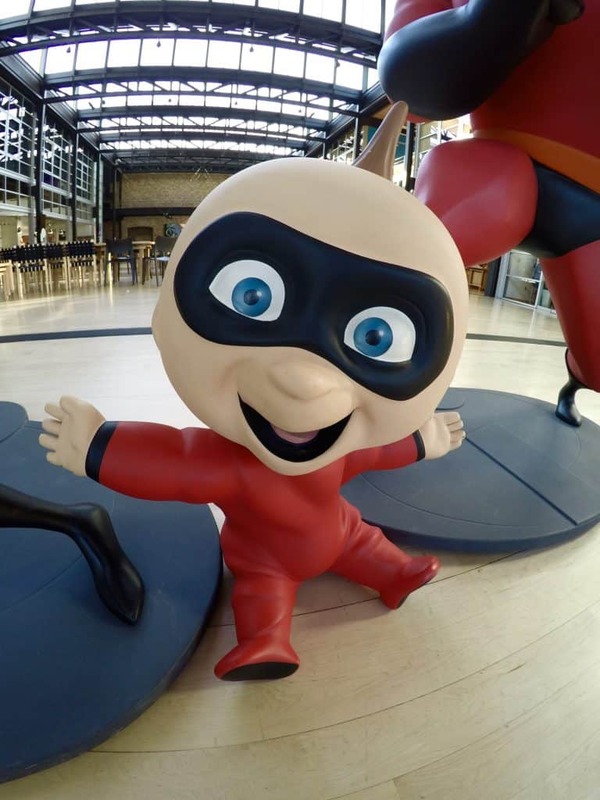 They even have Jack Jack there looking all superhero-ish and adorable! 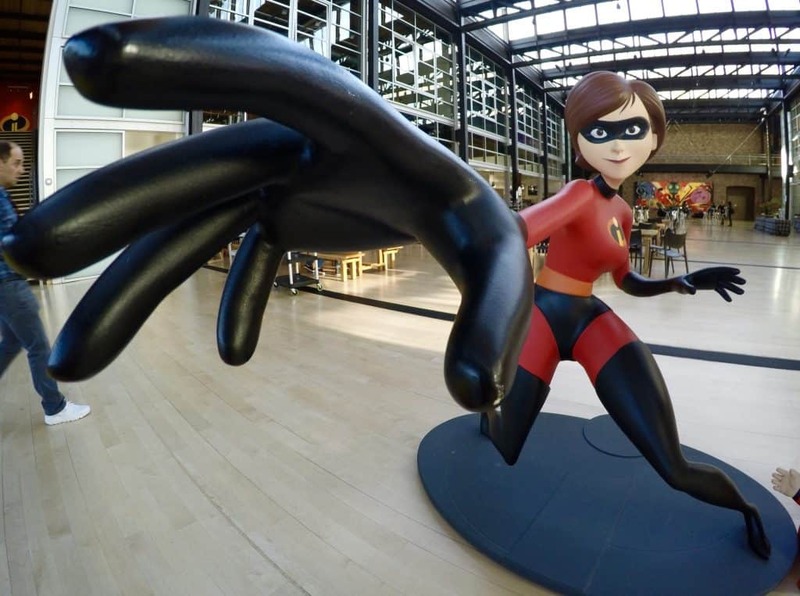 I was super excited to whip out my GoPro and take a few fun shots of Elastigirl. And it especially made Violet look pretty awesome. 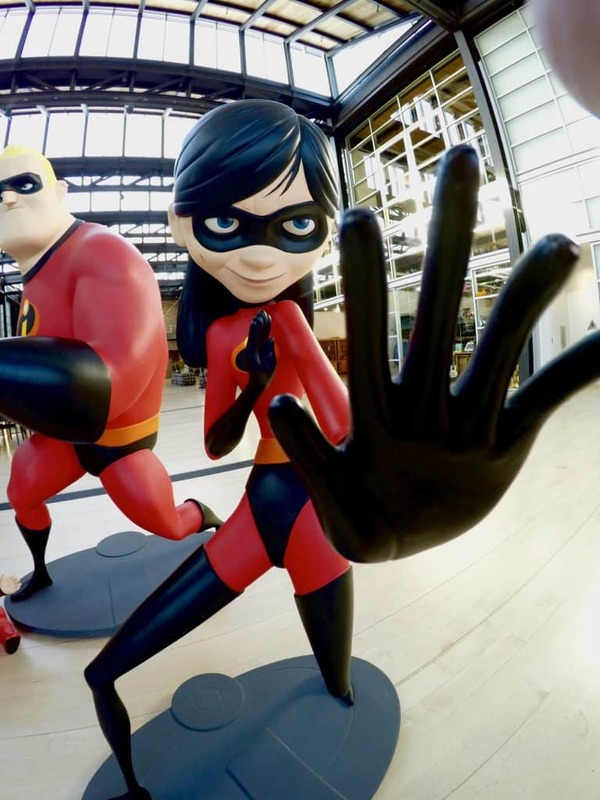 I’m SO excited for June 15th to see the new Incredibles 2 film! This movie looks awesome from the 30 minutes or so that I got to watch while I was at Pixar! I can’t share much more because I don’t want any spoiler alerts but you will absolutely laugh yourself crazy at Jack Jack! 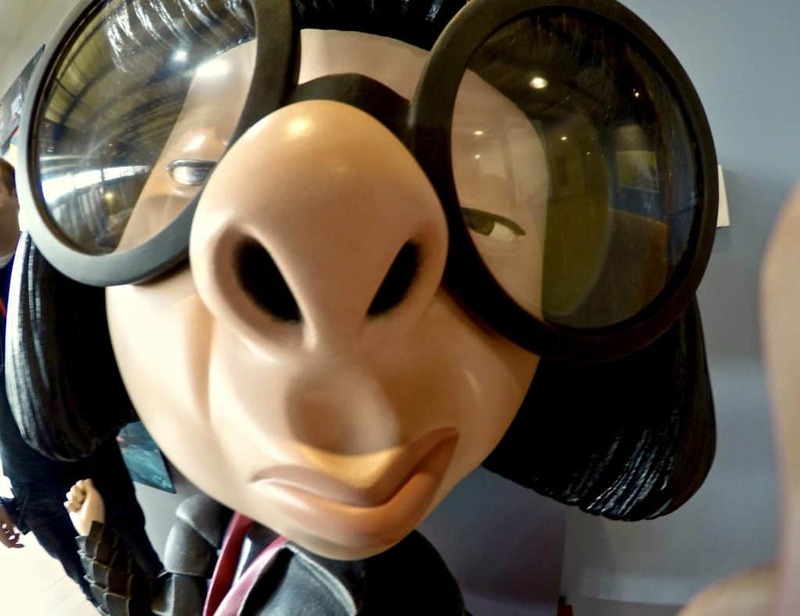 Upstairs not far away I spotted Edna Mode looking as smug as ever! Nearby to the Steve Jobs building is the Brooklyn building where we attending a special reception for the new Pixar short, Bao. Right inside the door I momentarily geeked out at Bing Bong! 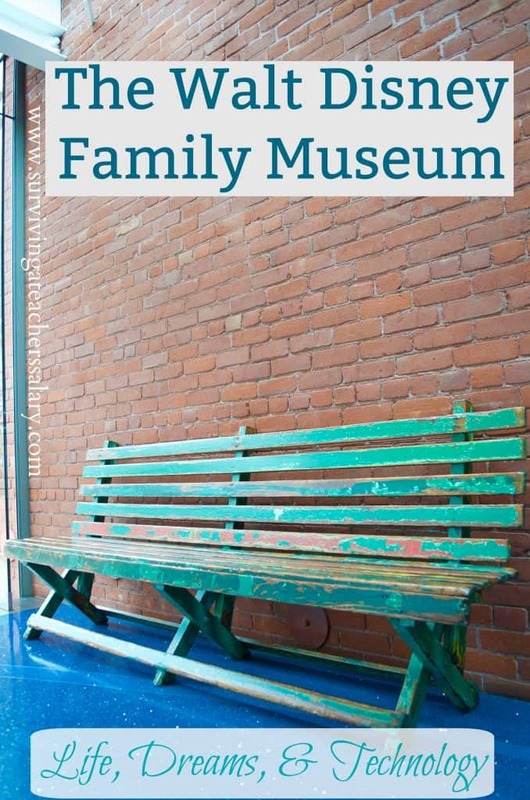 Perhaps one of the most fun spots ever – you couldn’t help be act a little silly! I also spotted this little scene with some of my favorite ocean pals: Dory, Nemo and Bruce. 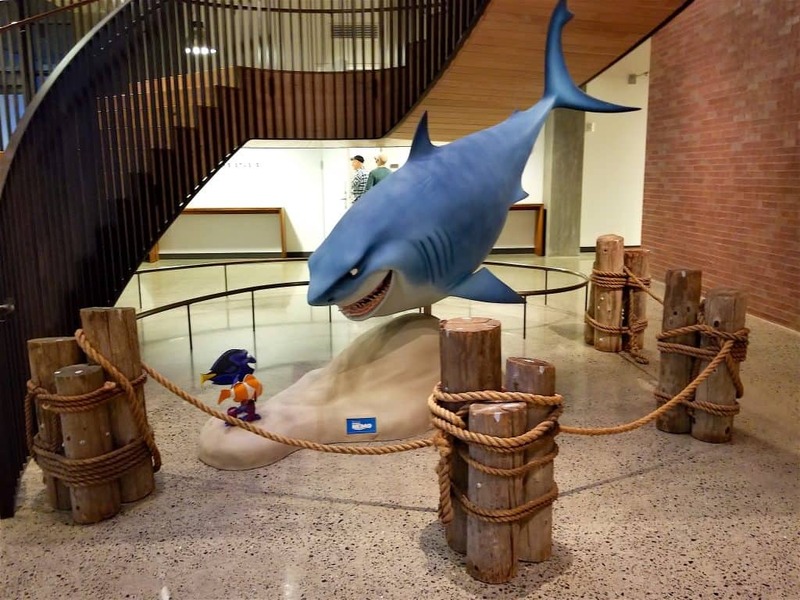 TIP: I don’t want to spoil the hidden Hank octopus on the brick wall somewhere in the building but if you can get down far enough he makes an awesome photo opp too! But you have to find him first! 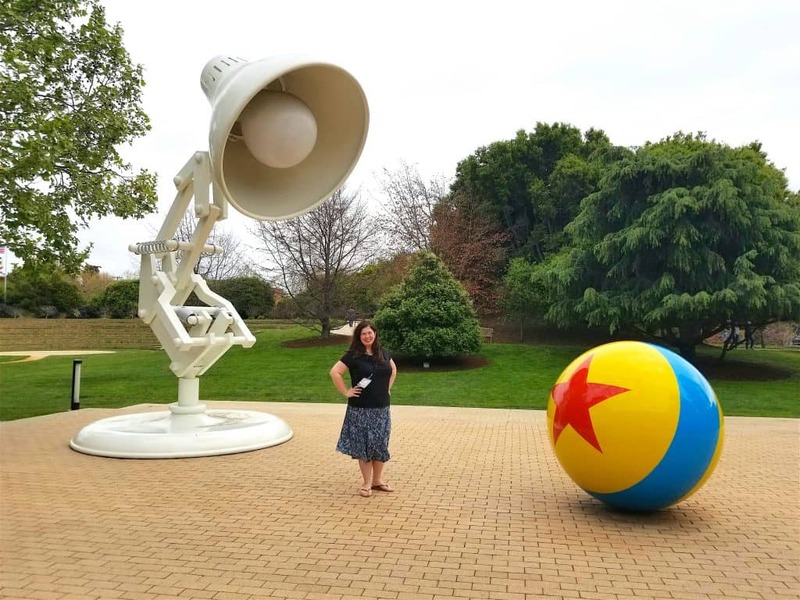 The Luxo Lamp and Pixar ball make a FANTASTIC group photo spot! You absolutely HAVE to stop here for pics. But right behind it is the amphitheater that makes amazing texture with the multiple layers! 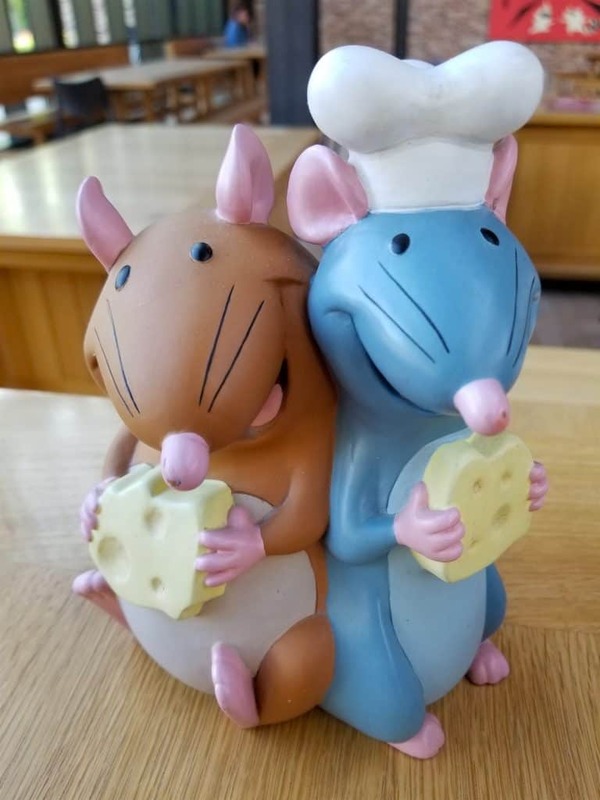 I LOVE how our group photo turned out.